Finding a purpose in a tiny town at Christmas seems like an impossible feat when grief threatens to swallow Colton whole. 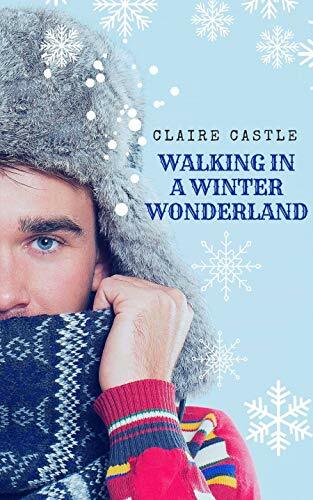 But when he finds compassion, attraction, and understanding in the charming Brit, Winter, he finds more than solace, he finds a home. This was a very sweet story when taken at face value. There were a lot of moments that endeared me to Winter and I preferred the interaction between both men out of the bedroom rather than in it. The chemistry was there but felt a little forced instead of organic. I will say that the story felt a bit superficial in terms of depth for the characters and conflict and felt slightly rushed. Overall, though, both Winter and Colton were likable and the feels when Colton made his discovery were a nice way to bring him quickly to a place of healing. 3 stars. Quick judgments lead to flustered interactions and incorrect impressions. But a little vulnerability opens their eyes to more and we're re-introduced to two men who have trouble putting their hearts on offer. This was so sweet and I loved where we ended up with Julian and Leo. Their chemistry was definitely there and I appreciated that the conflict remained with external frustrations rather than misunderstandings, lies, omissions, and lashing out. Julian's feeling regarding his kids was justified and handled well without sabotaging what he was building with Leo. And Leo's quiet care, passion, and sweetness was a fantastic balance for Julian. What we got was a completely wonderful story that hopefully leads into a series with a great cast, a lot of feels, and excellent steam. 3.5 stars. A punishment turns into an unexpected gift when Jules is sent to Snow Hope Island for shenanigans that went too far. Finding his boss, Felix intriguing is one thing, but when that turns into attraction and then a crush, Jules isn't sure what to do with himself. Both men find something surprising as well as a way to save all the toys that seem to come to their island to languish unloved. With the focus on the toys and Jules finally finding his purpose, with the relationship becoming secondary you'd think the story would fall flat. Well, it didn't! It was sweet with a really wonderful way of conveying both the spirit of Christmas as well as acceptance and love. Though the relationship conflict was predictable, it was settled with maturity and very little fanfare. 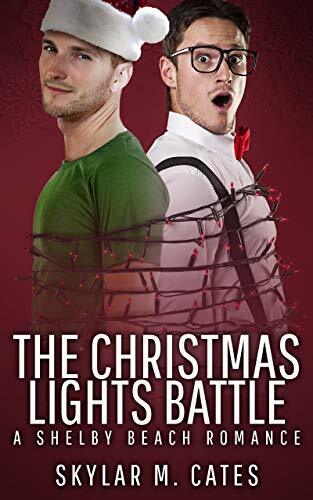 More sweet than steamy, this was a very cute story that hit all the light and lovely notes of a good Christmas love story. 4.5 stars.